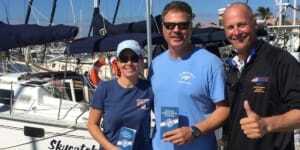 Directory of American Sailing Association sailing schools located in South West Florida where you can take beginning to advanced sailing lessons. Our school is easily located in Punta Gorda, in a beautiful harbor on the Gulf of Mexico. 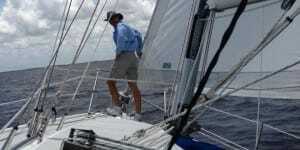 Sailing classes are taught aboard our Catalina 310, no classrooms! To maximize your time at the helm each class is limited in size to a max of 4 pupils. 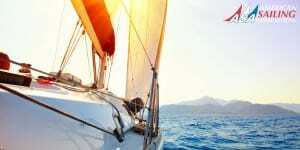 Florida Sailing & Cruising School is one of the oldest ASA schools in the country. We have been in business for 30 years, since 1984. Our courses are small and targeted to meet each student’s goals. We are located on Charlotte Harbor in sub-tropical Southwest Florida. From our base at Burnt Store Marina, our students have access to the protected waters of the harbor, Gulf of Mexico, gulf coast barrier islands, the Ten Thousand Islands, Florida Keys, Dry Tortugas, and many other resort destinations. We focus on customizing training programs to achieve your objectives, learn, as well as taking time to relax and enjoy!